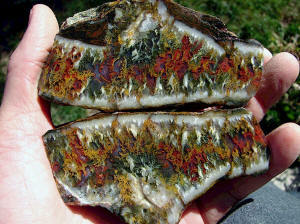 Linda Marie agate is from my claim in Oregon. 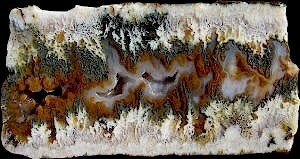 The agate so far has been a beautiful green, white and golden plumes set in clear and opaque agate, white opal or red moss. 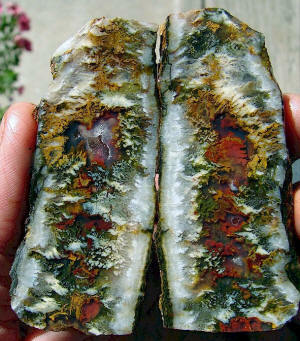 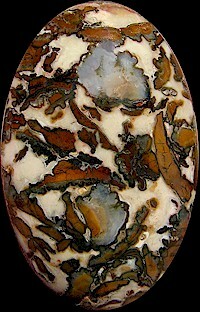 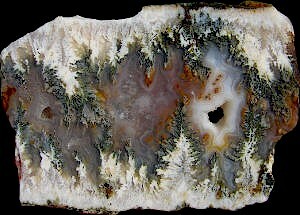 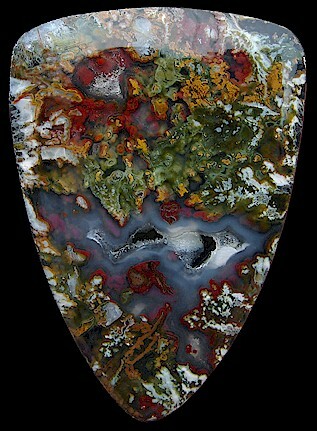 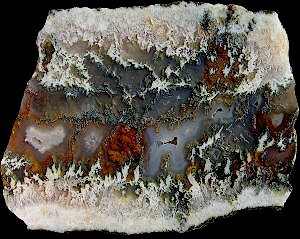 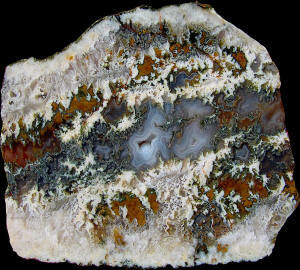 I also dug up some very unusual opal/agate with very strange patterns, my friend Frank Masley called it Mosaic. 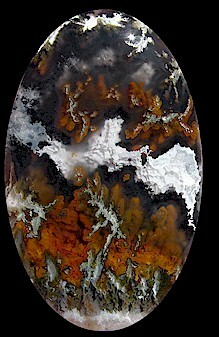 The Mosaic pattern seemed to fit, so that's what I'll be calling it. 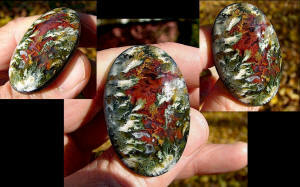 These are some of my best specimens and cabs so far...stay tuned! 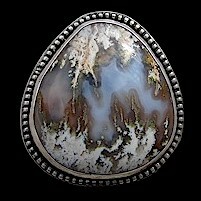 Read More about my claim and my recent digging at Linda Marie.